Join us on Saturday June 16th for our 14th Anniversary Party. 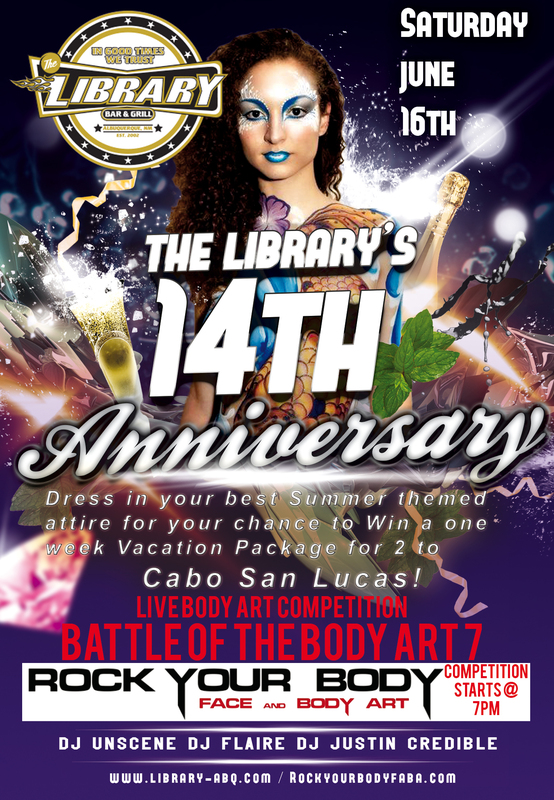 We will be hosting the Battle Of The Body Art 7 brought to you by Rock Your Body Face and Body Art. The body art competition starts @ 7pm and after wards we’ll have Dj Unscene BIRTHDAY BASH with special guest Dj’s Dj Flaire and Dj Justin Credible. Make sure to dress in your best Summer themed attire for your chance to Win a one week Vacation Package for 2 to Cabo San Lucas!